Category: Books, Complementary Therapies Tags: homeopathic medicine, homeopathic remedies, meditation. 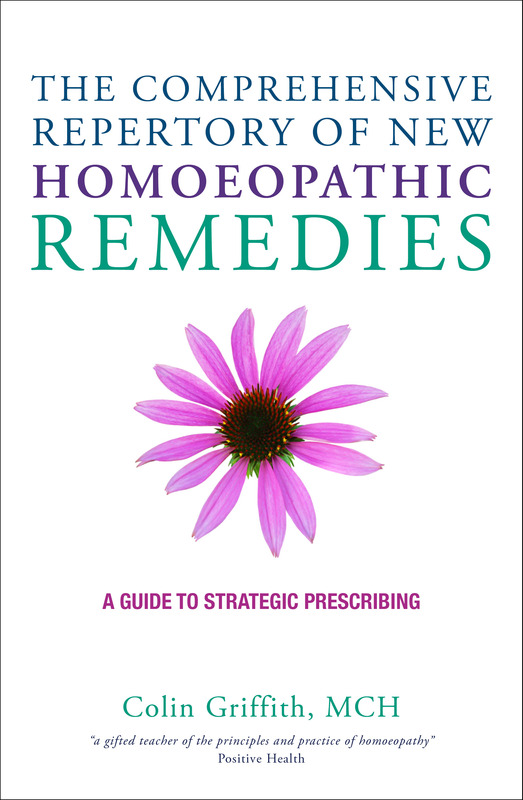 After nearly a quarter of a century’s proof and research into new homoeopathic medicines, the dozens of new remedies that have been developed by the meditation circle of Janice Micallef RSHom are now presented as a desktop reference guide for any homoeopath with an interest in expanding the horizons of their art. Colin Griffith, a member of the homeopathic ‘proving circle’ since its earliest days, has laid out the book in a user-friendly manner to facilitate an easy search for the most appropriate remedy for both familiar and unfamiliar rubrics of symptoms. The accompanying lists of comparable ‘old’ remedies ensure that practitioners will not be tempted to view the new remedies as exclusively remedial in cases that may seem to call for something unusual. There are explanatory essays on how to use the repertory, on the association of remedies with the seven chakras and the seven major miasms, and a glossary of remedy names in both English and Latin to conform to universal usage. Each new remedy is also given a characteristic essential ‘thumb nail’ sketch to act as an additional guide.